Kim was horrifed! She was at the point where she thought she might have to find a new home for Jody… or put her down. But now? She’d turned into a devil dog! She couldn’t even take Jody out for a walk without fear that there would be a fight! Jody went after other dogs and even people with a vengence! Kim couldn’t figure out why all of a sudden this was an issue when it had never been a problem before… . It was heart wrenching to see and Jody’s behavior was at a critical point. She just wanted to know WHY her dog’s behavior made a turn for the worse. She felt guilty… Was it something she was doing wrong? Did something bad happen to Jody or was something else happening that she didn’t know about? Was Jody sick with a brain cancer or in desperate pain causing her to behave dangerously? Kim just needed to know that she was doing everything she could before she made the final decision. And she needed those answers FAST! Thank GOD she found me! She signed up for a private consultation so that I could talk to her dog and find out what the real issues were. Come to find out? It was all a misunderstanding! One that almost cost Jody her life. It turns out that Kim and the kids had been watching TV and seen several shows where some really bad things had happened to neighbors in their community… tragic stories of people attacking and hurting other innocent people… and where dogs had attacked and hurt people too. It had made her family feel sad and afraid. And guess what? Jody got the message. After that, Jody just wanted to protect her family from all those bad things… but since she didn’t know exactly where or who the bad people or dogs were, she became indiscriminate in her aggression. Jody’s behavior changed dramatically after our consultation, and I’m delighted to report that Jody is still happily living with her loved ones and doing her job. “I was at my wits end, struggling with my dog’s out of control behavior. I’d tried everything I could think of, and since I am a dog trainer and compete with my dogs, that’s saying a LOT! But, nothing was working so I decided to give Val a call. I was so amazed! In one session, my dog’s behavior changed and I could tell we were working together as a team for the first time. Your animal friends are trying to tell you things every day! They try to tell you that they love you, what their purpose is and when things aren’t right in their world. They may also be trying to tell you things aren’t right in YOUR world! I want to help you hear your animals so they can tell you if they’re happy, if they’re in pain or feel sick, or if they need to tell you something important so you can enjoy a wonderful heart connection! 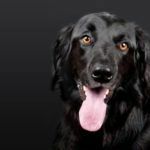 Are you frustrated by not knowing why your dog is behaving badly? If they are happy or unwell? You may think everything is ok but…is it? Make sure that your animal’s life is as happy, pain-free and as full as it can possibly be through animal communication. Without communicating directly with your animal, you can’t know why they behave the way they do or how to best resolve problems. As an expert animal communicator, internationally recognized pet psychic and master healer, I can help you enjoy healthier, happier, safer, longer lived, more joy filled, empathic heart bonds with your animal companions. If you would like me to bridge the communication gap between your animals and you, now is the perfect time. Waiting too long to get help for a problem that’s not going away on it’s own can cost you a ton of money, energy and time… and could even cost your animal their life. Did you know about my famous 4 Fundamental Results Guarantee? I promise that if you don’t agree that by the end of your session you have these 4 Fundamental Results, then I’ll happily refund your money out of my own pocket. You have my word on it. 4) Better overall balance in Body, Mind & Spirit. Take the time to listen to them today, okay?